As states continue efforts to legalize marijuana usage, the United States is continuing to see an up-rise in growing operations. 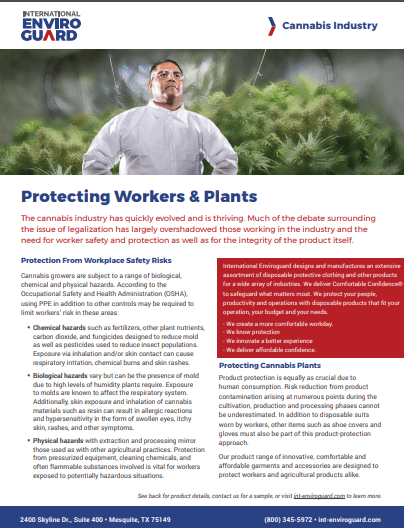 These commercialized growing operations continue to develop and look for the best PPE, including disposable protective clothing to protect workers from hazards and the job and protect the plants from particulates that may be carried in with the worker. Chemical hazards such as fertilizers, other plant nutrients, carbon dioxide, and fungicides designed to reduce mold as well as pesticides used to reduce insect populations. Exposure via inhalation and/or skin contact can cause respiratory irritation, chemical burns and skin rashes. Biological hazards vary but can be the presence of mold due to high levels of humidity plants require. Exposure to molds are known to affect the respiratory system. Additionally, skin exposure and inhalation of cannabis materials such as resin can result in allergic reactions and hypersensitivity in the form of swollen eyes, itchy skin, rashes, and other symptoms. Physical hazards with extraction and processing mirror those used as with other agricultural practices. Protection from pressurized equipment, cleaning chemicals, and often flammable substances involved is vital for workers exposed to potentially hazardous situations. Operators also want to protect the plants from particulates and matter that a worker could bring into the growing operation. 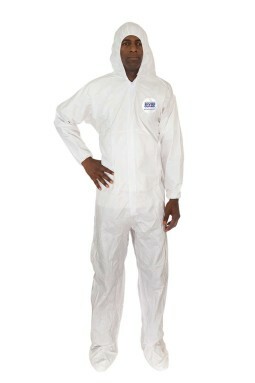 It’s vital that workers wear protective clothing to protect the integrity of the plants by keeping particulates that may have been brought to the job-site on the worker and off the plants. A breathable garment that provides an excellent particulate barrier, along with protection from light splashes and sprays. Good for general cleanup work and for guarding against dirt, dust and grime . 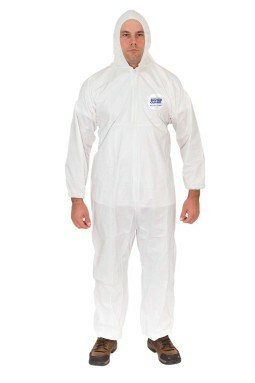 Clean-processed coveralls that provide superior protection against particulates and non-hazardous liquids. Comfortable fabric lets moisture vapor escape to keep wearer more comfortable vs many other fabrics. Tunnelized elastic provides a more secure closure, stronger seams and eliminate raw edges that may generate particulate. Environmentally friendly - can be recycled after use. 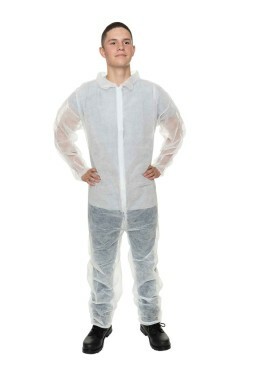 Each coverall is individually packaged. 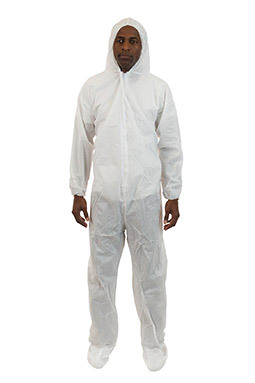 A lightweight, breathable fabric that cost-effectively protects your people and visitors from dirt and grime, while adding to the protection of your finished product from unwanted contaminants.